Eric Cook is the Headmaster at Covenant Classical School in Fort Worth, TX. He received his B.A. in Secondary Social Studies Education from Transylvania University, Lexington, KY and his M.A. in Instructional Leadership is from Northern Kentucky University. 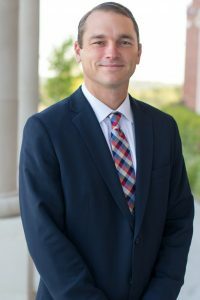 He has served as an assistant principal at a large middle school in Cincinnati, Ohio, taught history, civics, philosophy, and psychology for five years in public schools, and served as Upper School Head at Faith Christian School in Roanoke, VA before becoming Headmaster at Covenant in 2009. He has served on the SCL board since 2012. Eric is married to his beautiful wife, Liz. They have six children: Haydon, Olivia, Grant, Cole, William, and Lincoln.